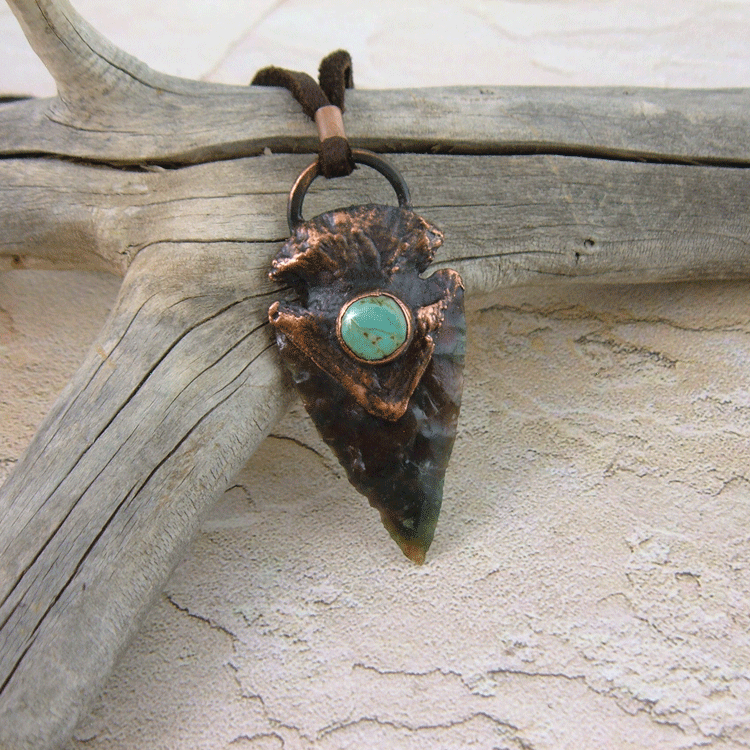 This is a carved Arrowhead accented with turquoise. The arrowhead pendant is made of chipped Jasper then accented with a turquoise piece which has been set in copper. 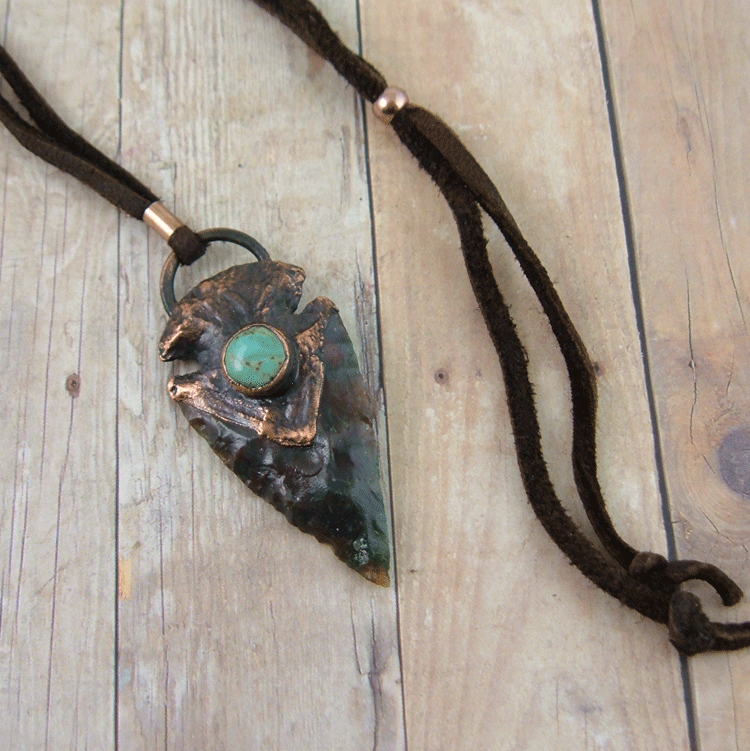 Hung on soft dark chocolate deerskin lace, its a stunning necklace sure to draw complements. 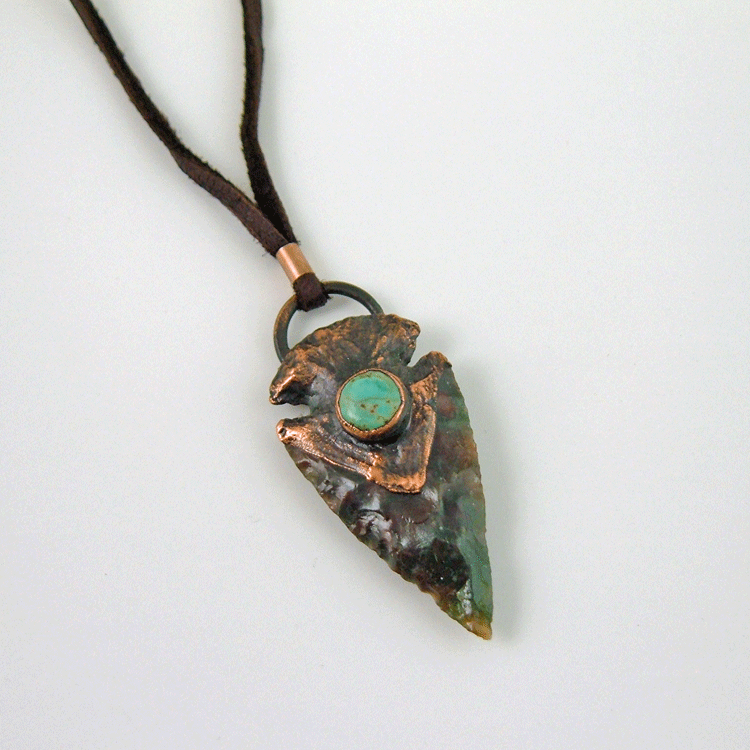 The arrowhead is carved from Jasper, the turquoise is set in rich patina copper and handcrafted in my studio. 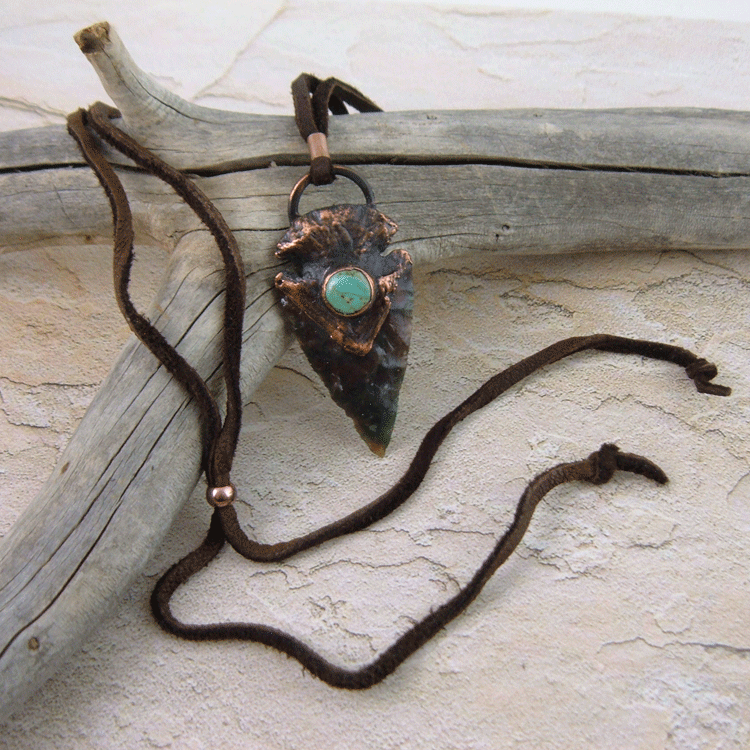 Pendant hangs on 36�adjustable leather accented with a copper bead. Equally stunning on a man or woman. 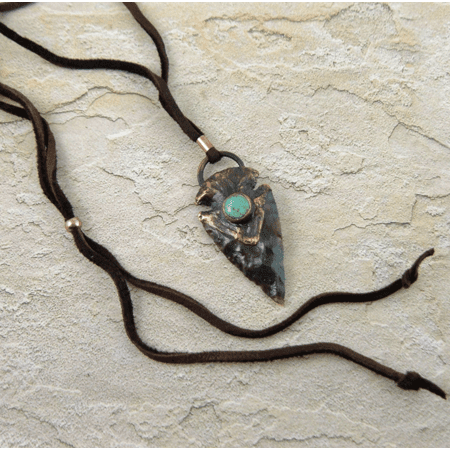 Chocolate color soft deerskin leather lace, adjustable to 36"
Adjusts from throat, choker length to over 34"